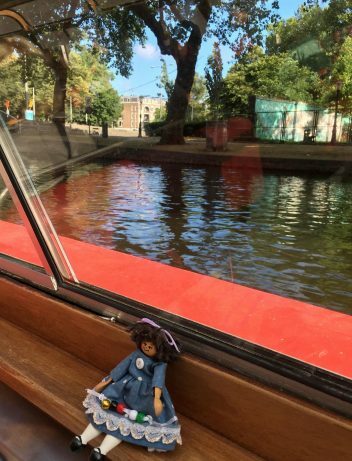 You are invited to come along as we explore the beautiful, historic land of canals, wooden shoes, and windmills with Violet as our tour guide. Here she is, smiling in anticipation of visiting what she calls storybook land. Ready to go? 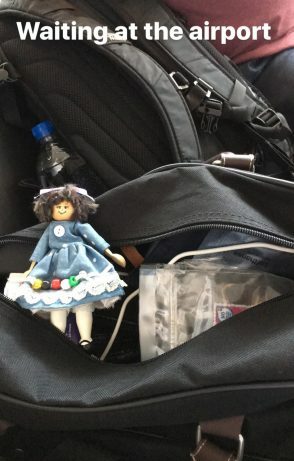 This past summer, Violet had the grand opportunity to travel through the Scandanavian countries and see fascinating historic places in this picturesque storybook land, hosted by her friend, Sue. She toured through five countries and saw a wide variety of sights. 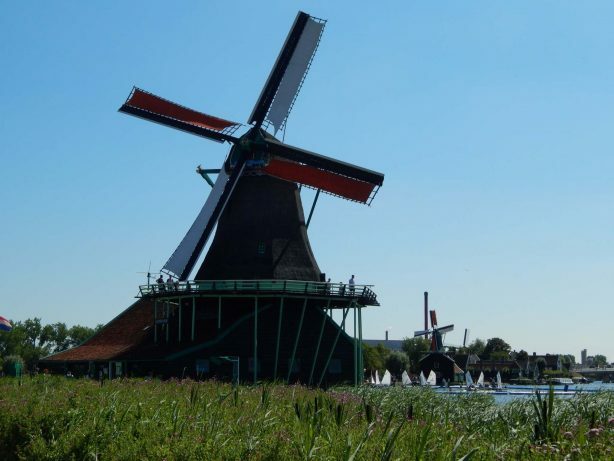 In this post, I’ll focus on Holland, and share the others with you soon. Here she is reading up ahead of time on all that she will see and do. 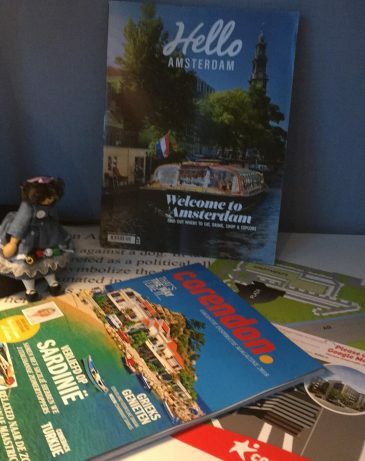 Hello Amsterdam! 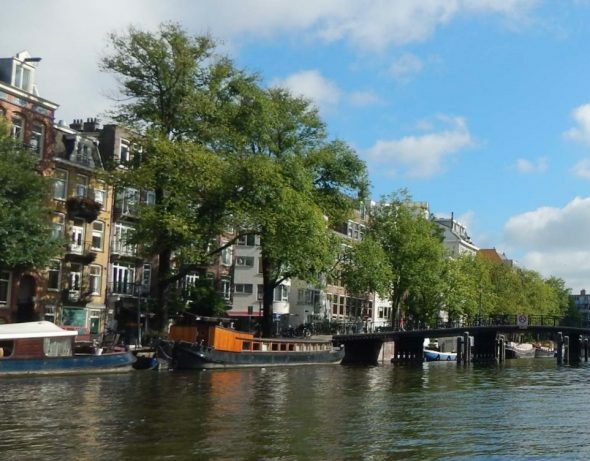 Amsterdam is the capital city of Holland. 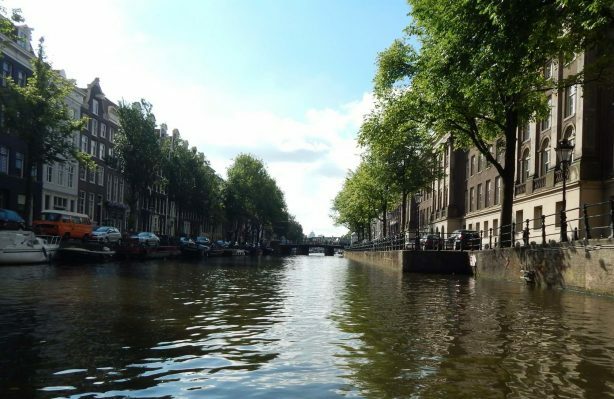 It is a marshy, low land, below sea level and full of canals. Many buildings are built on stilts to hold them high and dry. So don’t be surprised when you see the buildings leaning a bit. 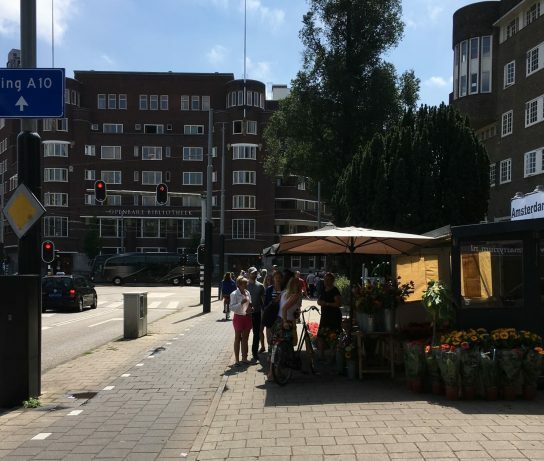 Here is a pretty little sidewalk shop. 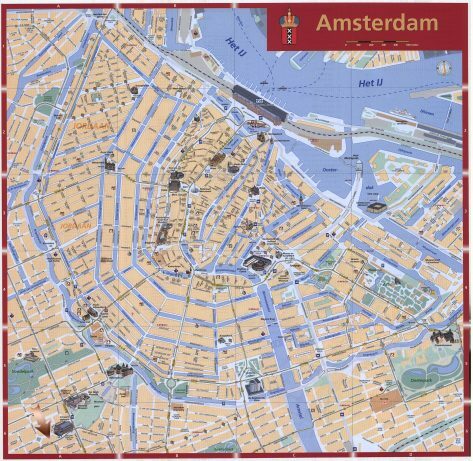 I found this map of Amsterdam showing how it is made up of many canals. I read that it has 165 canals that cover 60 miles of waterways! 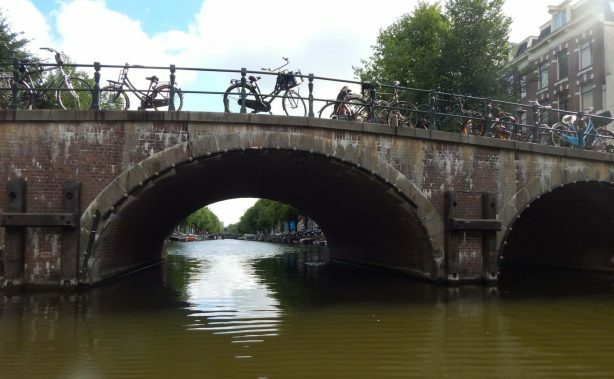 I wonder, are the canals named, liked streets? Violet visited a park that was pretty and green. In one area a road goes over the park on a bridge, and Penny met this fun lad underneath, helping to hold up the road. Now she’s helping too. Hey, come along and hop in, we are going to cruise on a canal! Oh, the beauty of the water, the trees, and the historic buildings. How lovely! Bicycles are a popular way of transportation here. 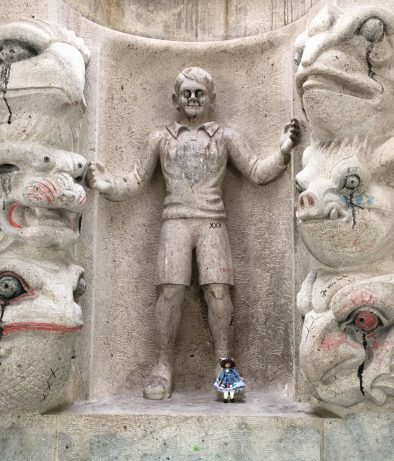 They are found everywhere, even at the bottom of the canals. Whoops! Sunshine and pretty boats and bridges. In the picture above, I enjoy seeing all the colors and artistic shapes of the tall buildings. 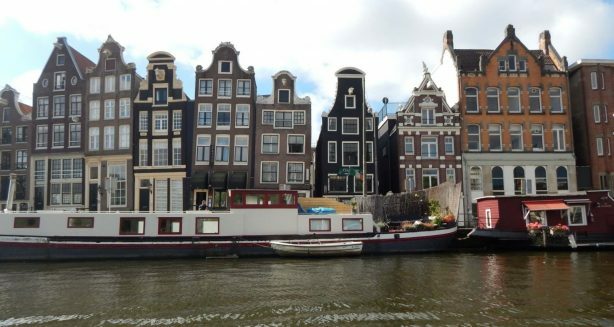 Also, I think that the red houseboat on the right looks really homey with its awning shade and pink flower pots. I found a video online that invites you to tour a houseboat on display, and thought I would share it here. How fascinating to see the possiblities of a floating house. 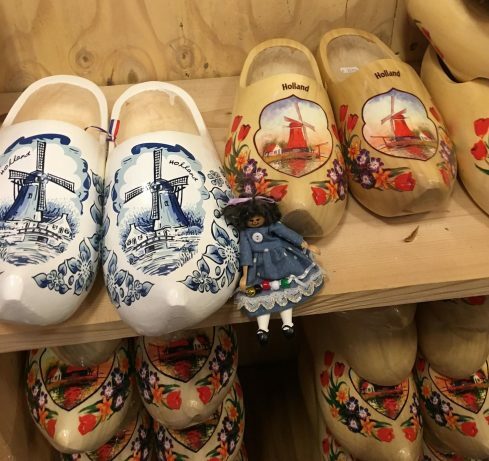 Holland is also famous for its traditional wooden shoes, or klompen. “Wooden shoe wearers claim the shoes are warm in winter, cool in summer and provide support for good posture. The wood also absorbs perspiration so that the foot can breathe.” Here is an interesting page I found on Why walk on wooden shoes? 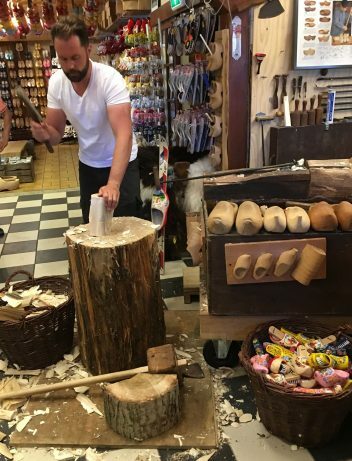 This clogs and cheese shop has a man making wooden shoes right here. How fascinating to watch! What an art! 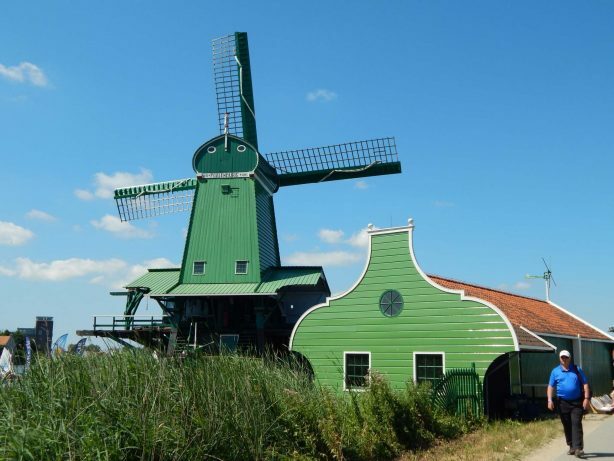 The Zaanse Schans is a historic windmill park with many great old wooden windmils that were collected and brought here to preserve them. Several are still operating to grind spices, press oil, and saw wood. These are the end of Violet’s pictures, but I’d like to add a little extra here. 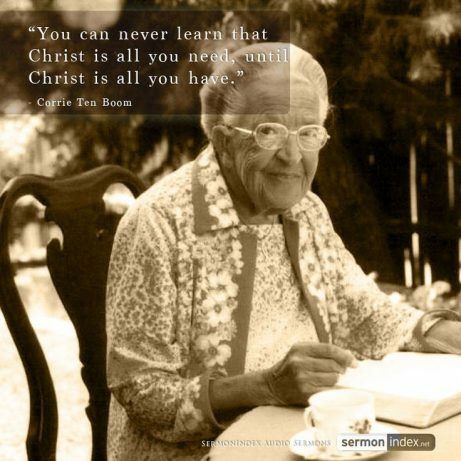 When I think of Holland, I think of Corrie ten Boom. I have often read her book, The Hiding Place, that tells of her family’s watch shop in Haarlam and the work they did to protect and hide Jews during World War II. 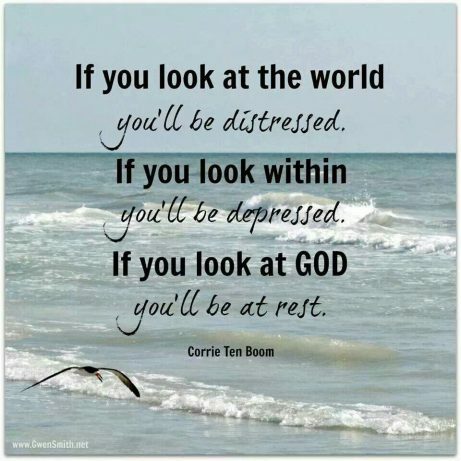 The price they paid was high, they endured arrest and cruel prison camps; but Corrie lived on to witness to the fact that God’s love is deeper than the world’s deepest darkness. 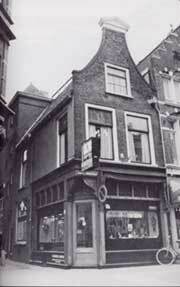 Below is the ten Boom house in Haarlam, just west of Amsterdam. They affectionately called it the Beje. A nickname short of the road’s real name, Barteljorisstraat. When looking online for information about the ten Booms, I found this interesting blog post that tells an overview of their story and gives a tour of their home. 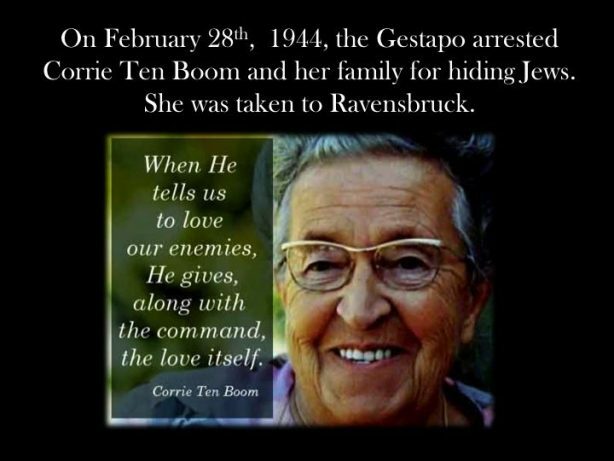 The Corrie ten Boom house by Kevin & Amanda. I was fascinated to find that their home itself has been preserved as a museum in tribute to the ten Boom family and at this site you can get lots more detail and even take a virtual tour. 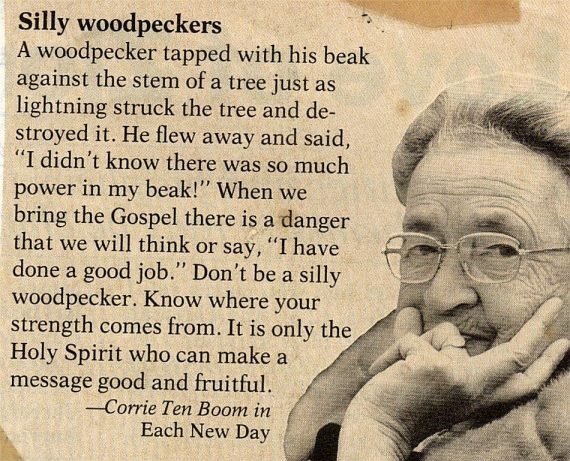 One more quote from this humble, playful and loving woman.